Not every change in your home has to involve knocking down walls or adding square footage. Sometimes you can work within an existing footprint. Consider a small bath renovation that yields a big home improvement. Tired en suite bathroom? The square footage is fine, but the gold fixtures need to go. And so does the molded plastic shower stall. You’ve walked the aisles of the big box stores but everyone seems to have more of the same. Here’s where custom pays off. Hiring a professional remodeler gives you access to a whole host of options, like having a custom-built walk-in shower. You choose the tile, the size and the fixtures. One glass door? Two? None? Some shower stalls have enough room to contain the overspray, and nothing else is needed. With a custom-crafted shower stall, the choice is yours. That same stroll through your local home improvement store took you past scores of sink vanities. And they were all remarkably similar. But there really are more choices. A quality contractor can work with a cabinet maker to create additional storage that suits your specific space. Available in a variety of finishes, these pieces also boast high-end features like shelving that pulls out, and floor to ceiling storage to take advantage of small spaces. Small spaces can be more challenging to renovate than huge, sweeping spaces. Existing bathrooms have existing everything, and sometimes it’s difficult to envision anything other than what’s right in front of you. Enlisting a local, experienced remodeling professional can open your eyes to an entirely reimagined space. Find someone you like, and take a look at their work. See the depth and breadth of their experience, and what they’ve done with similar spaces. And then ask them in to see yours. 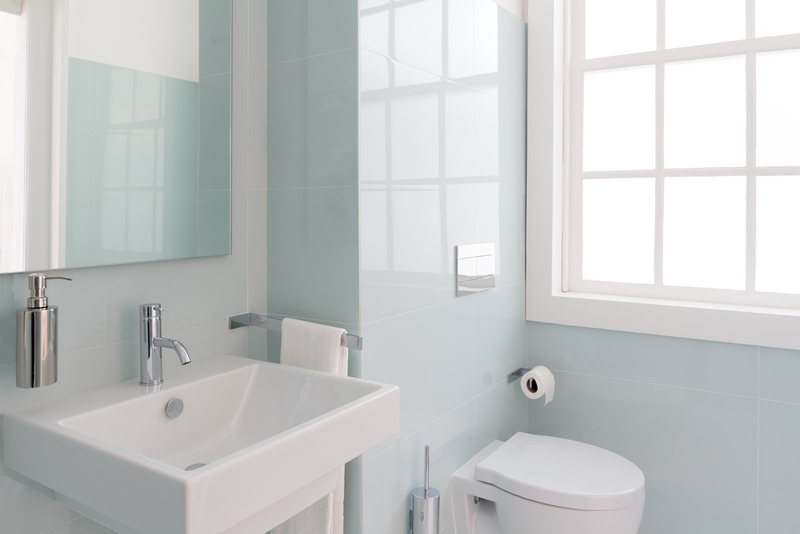 Sometimes you don’t necessarily need to think outside the box when it comes to renovating your small bathroom. Sometimes you just need to find someone to design a better box!